General rules for the establishment of advance bookings at Praça da Árvore Hostel.1. The reservation will only be confirmed by the online payment with a 50% credit card (at the time of sending the request and 50% at the time of check in) or bank deposit 50% in checking account informed by Praça da Árvore Hostel. (The remaining 50% must be paid at the time of check in.) 2. Reservations can only be made within the period determined by the Hostel (48 hrs after the reservation request). Deposits after the stipulated date will have no value and will be refunded less legal and financial expenses. It is up to the applicant to inform the Hostel about the deposit made.3. Cancellation of reservations or change in date are only valid if communicated in writing. In case of cancellation of the reservation the guest can arrange its replacement by another guest on the same date and conditions. The advance reservations are a compromise between the parties and their disruption by one of them will imply a fine for reimbursement of the other. The reimbursement rules and values specified below are valid for cancellation by both the hostel and the guest. The rates start at 14:00 and end at 12:00 on the following day, regardless of the time of arrival. Staying in the hostel's premises at a later time than this is possible only upon availability and authorization of the hostel, and are subject to the collection of another daily or percentage of this, established by the hostel. We offer extra services charged extra as an extra bath and extra breakfast. Children from 0 to 8 years old are free. Above 8 years will already be included in the accommodations informed on the reservation tab. Children and adolescents under 18 years old will be allowed only accompanied by a legal guardian and should stay only in private rooms. There is no possibility of cancellation after already being hosted. This refers to a commitment to keep the establishment's commitment in blocking the room (reserving), ensuring the stay. Immediate cancellations make it impossible to sell in the act of the day. In accordance with the law on the status of children and adolescents for children under 18 years of age unaccompanied by a parent and / or parents, it is necessary to present at the time of check-in a notarized letter of declaration authorizing their lodging. Accordingly, in accordance with legal provisions in general and, in particular, with the provisions of Embratur Normative Resolution 161/95, the rules of the FBAJ (Brazilian Federation of Youth Hostels) and the Consumer Defense Code, the cancellation of reservations or changes in their dates will be subject to the collection of fees and fines according to the following conditions: I) Alteration of booking dates The following deadlines will be observed for requesting changes to dates: a) 10 days prior to the date of entry , according to the availability of the hostel.II) Cancellation of reservation) Until 07 days in advance of the beginning of the daily will be refunded the total amount paid by discounting the cancellation fee and refund of 20%. b) From 6 to 3 days 20% of the amount paid and the remainder converted into credits for the use of the applicant with stays, within a period of 6 months. those of 72 hours (3 days) in advance of the date scheduled for the beginning of the daily will not be any type of return.d) This cancellation policy applies to groups.IV) Withdrawal without cancellation - "no show" O no without written notice mentioned above, on the estimated date of arrival will be considered "no show" (Withdrawal without cancellation), with retention of 100% of the amount paid.V) Withdrawal after entry. The withdrawal of the accommodation after entry , will not give right to any type of restitution, entailing the total loss of the amount paid. As well, the early departure will not entitle you to cash refund, or, credit in new nights. The events and attractions can be done in a different area suitable for this. 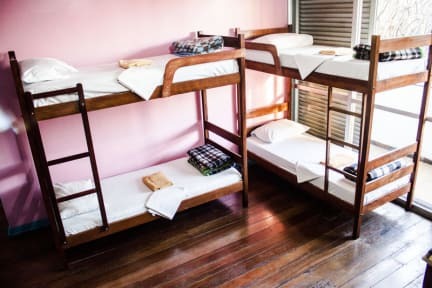 The Best Hostel in São Paulo , located only 25 minutes from Av . Paulista , Downtown with Better Quality . 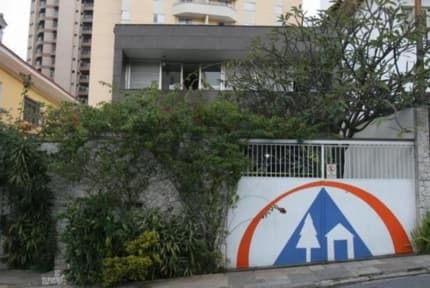 Located in the South Zone - Vila Mariana in São Paulo 10 minutes far from Metro Station , Hostel offers the Best Hosting Service City .